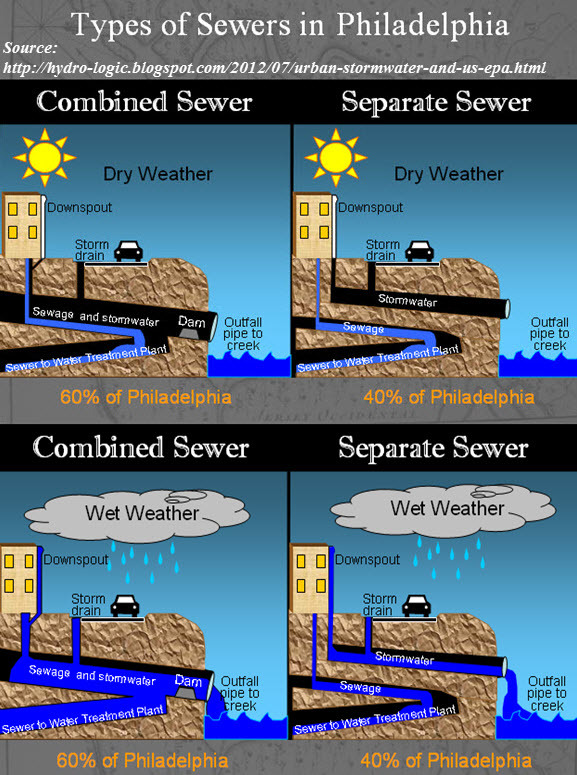 Sewage backups are all too common in our Greater Philadelphia and Southern New Jersey region. In a previous post, we discussed the first step after a sewage backup: shut off the gas and electric! But once the risk of explosion and electrocution has been eliminated, and the power has been turned back on, it’s time to clean up the mess. 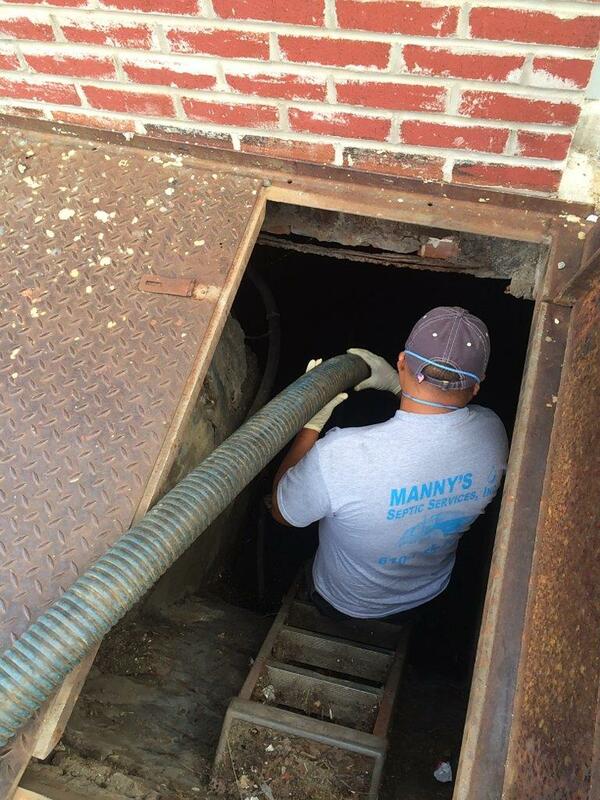 Sewage cleanup is never easy. It’s one of the dirtiest jobs on the planet. 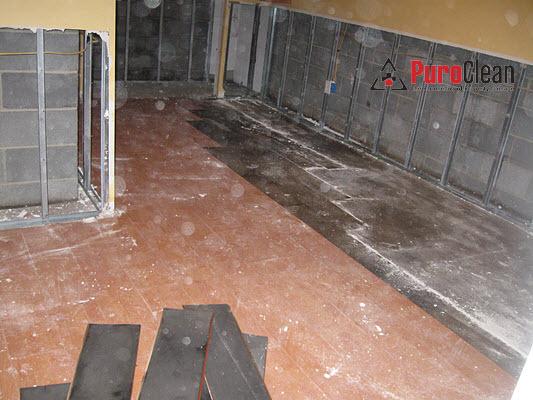 Therefore, professional water damage restoration is always recommended. 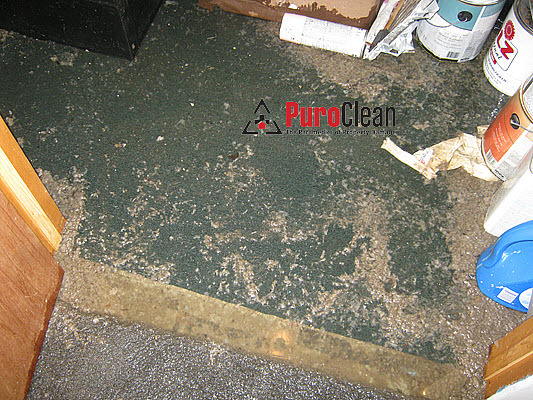 Prevent tracking sewage and debris to the clean areas of your home. Use thick plastic to cover the stairway to your basement. 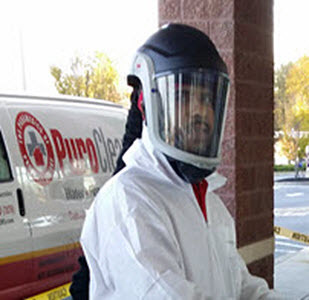 Next, make sure you wear the right personal protective gear: a face mask or respirator, water proof boots, Tyvek suits, and heavy rubber gloves over disposable gloves. 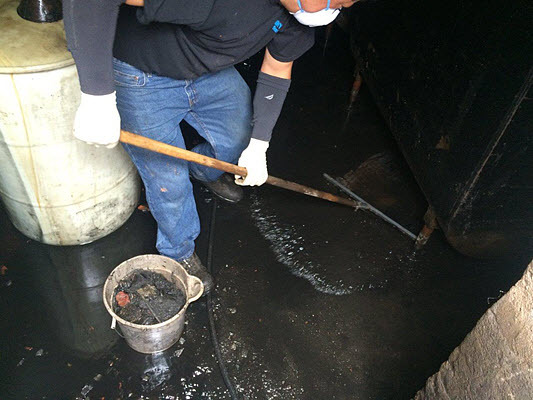 Remember: keep your hands away from your eyes, nose and mouth during sewage cleanup. If you’re a smoker, don’t light up during cleanup. Fingers exposed to sewage carry diseases to the cigarette and then to your mouth. Now it’s time to take pictures. 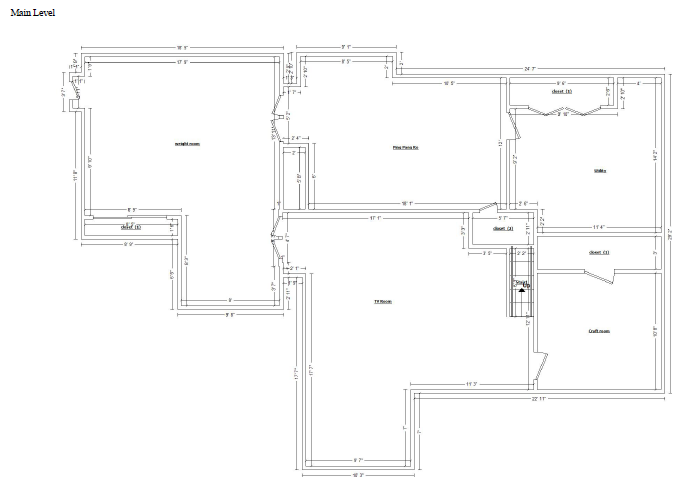 Take pictures of EVERYTHING at the beginning and throughout the project. This will help you with your insurance claim later on. And, it will help you get reimbursed for damaged items. After that, it’s time to drain all the sewage. You can use a squeegee and move the liquid to a sump pump. If the sewage is too deep, hire a “honey wagon” from a septic service that provides truck mounted sewage removal. Now it’s time to remove EVERYTHING that came in contact with the sewage. This includes clothing, carpets, furniture, toys and bedding. Discard all of these items in heavy-duty plastic bags unless they can be cleaned and disinfected. 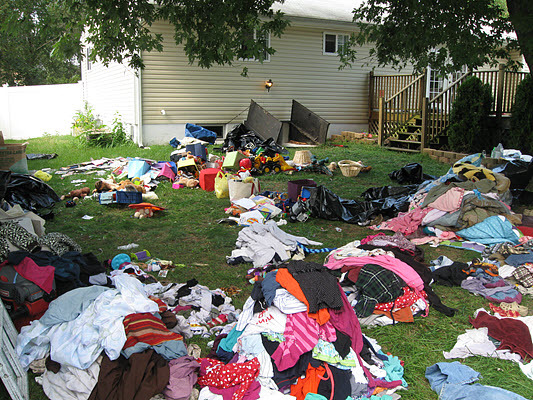 Move items you choose to save outdoors so they can get cleaned and dried in fresh air and sunlight. 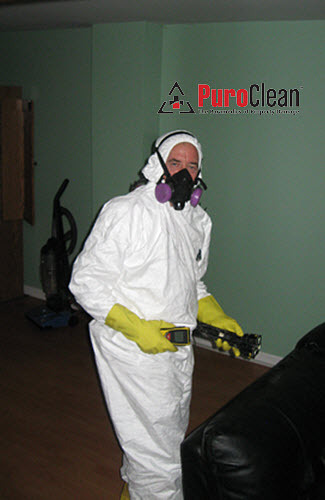 After this step, if you have an unfinished basement, you can proceed to sanitizing. 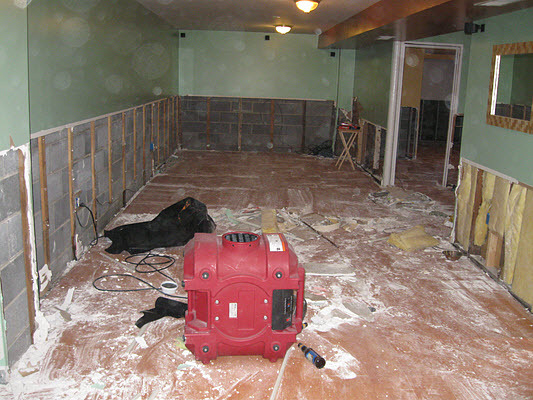 If you have a finished basement, it’s time to remove all the wet carpet, pad, flooring, drywall and insulation. You’ll need to get heavy-duty contractor bags to dispose of the debris. Make sure you don’t load the bags to the top. Wet sewage-soaked stuff is HEAVY! Don’t hurt yourself by creating bags too hard to lift. When the sewage is all gone, it’s time to remove the dirt, soil and debris that was left behind. You’ll need to rinse every surface that came in contact with sewage. Then, wash down all walls, floors and surfaces that the flood water or sewage touched with clean, warm or hot water and a low suds detergent. Rinse everything again with warm or hot water. Lastly, sanitize everything. 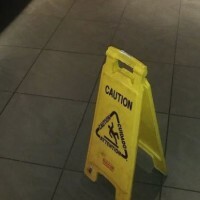 Rinse all the walls, floors and surfaces using an anti-microbial solution. Ventilate the area: open windows and use as many fans as you can. 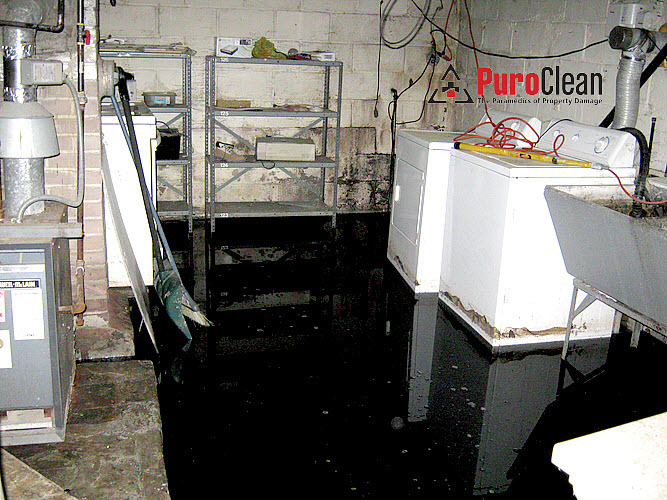 Drying out after sewage cleanup can take a long time, even if you have a concrete basement. Don’t forget this step or mold will start to grow in the weeks following the sewage backup. When you’re done, it’s time to decontaminate yourself. Even though you wore two layers of gloves, make sure you wash your hands in antimicrobial soap and use a scrub brush immediately after completing the project. Last of all, wash all your clothing and parts of the body that came in contact with the sewage in an antimicrobial detergent solution. If you had food stored in your basement, like many of us do, or you have a freezer or refrigerator in your basement, you must dispose anything that came in contact with the sewer water. 1. To prevent illness, throw away anything in a box or soft package. Remember: event the air is contaminated with microbes after a sewage backup. 2. You can keep your canned goods (including home canned jars), but only after you clean them thoroughly. o Next, submerge them in chlorinated water for 15 minutes (1 ounce of bleach per gallon of water). 3. The rubber seal around a freezer or refrigerator door usually prevents sewer water from entering and contaminating your food. However, food stored in a freezer only keeps for about 2 days after losing power, if the freezer is full, or 1 day if it’s half-full -and not opened. If the power’s been off for more than a day or two, ask a neighbor if you can store your frozen food in their freezer. 4. Food stored in a refrigerator will keep for 4-6 hours after losing power, depending on how warm it is. So, don’t open it unless absolutely necessary. 5. Throw out anything if it has an unusual color or odor. 6. Take pictures of all damaged food items before disposal. Remember: this do-it-yourself method of sewage cleanup is never recommended because it may take your basement too long to dry. 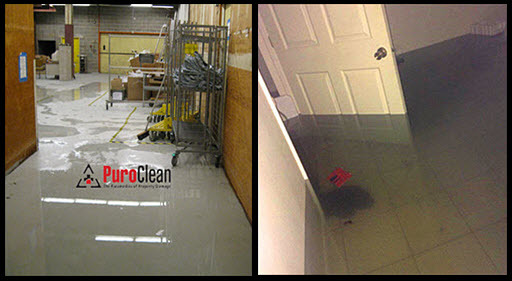 • You need IICRC trained professionals to make sure the job of cleanup is done right. 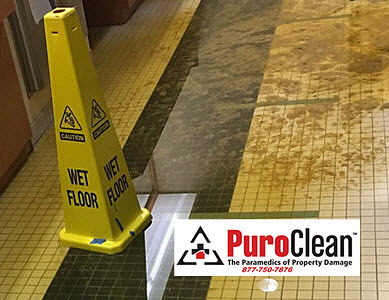 We have the specialized equipment to pump out excess water and get your home or business dry fast with commercial-grade dehumidifiers and air movers so no mold will grow after the sewage is gone. 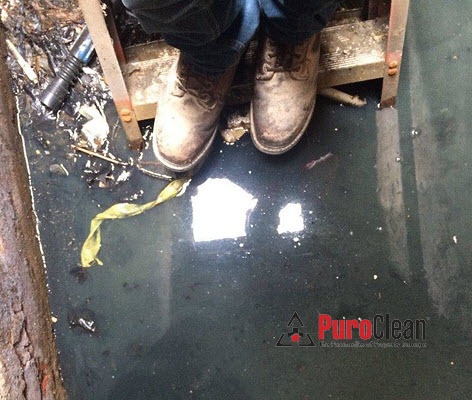 • Once on site, we’ll assess any structural issues caused by the sewage backup, which could have long term safety and property value consequences if not fixed properly. 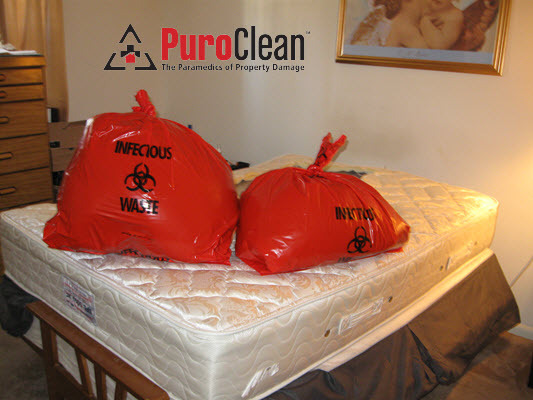 • We’ll advise you what contents can be cleaned and what must be thrown out. • Next, we’ll seal off and control the air flow to prevent cross contamination of the sewage with unaffected areas of your home. 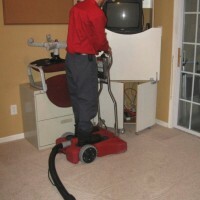 • Then, we clean and completely sanitize the area to ensure a healthy living or work environment. • Throughout the project we create a photo-catalog of the damage to the structure and all the items that need to be replaced. • Then we use the photo documentation to communicate clearly with both you and your insurance company, using the latest industry standard software to process your claim quickly.